You open the envelope, a wedding invitation, you’re thrilled, you’re going, the very next thought? Over the bank holiday weekend Himself and I found ourselves heading back to Dublin for just such an occasion. 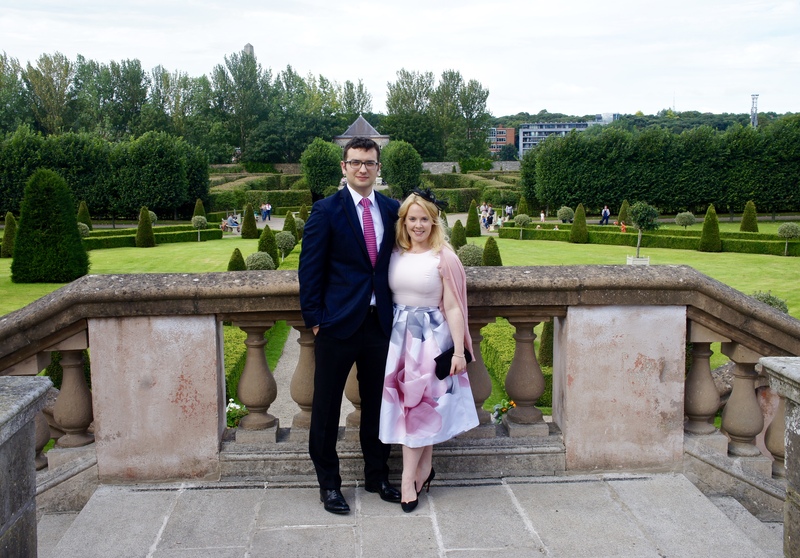 Himself warned me not to leave my outfit planning until the last minute…I mean….I definitely did…but I always do and it’s GRAND, although I wouldn’t exactly recommend it! When planning your wedding guest outfit, you need to recognise what season you’ll be in, as well as what style it will be, whether it’s black-tie, formal, or a more relaxed affair like rustic, vintage or beach themed. If you can’t gleam this from the invitation, I’d recommend asking and if you really don’t know someone to ask, hedge your bets and go fancy! Always better to be over-dressed than under-dressed in my book! I took some time last Thursday and had a good look around Covent Garden, ending up infront of a dress in Ted Baker that I’d seen online a couple of weeks before…it would appear I had already chosen it in my head! 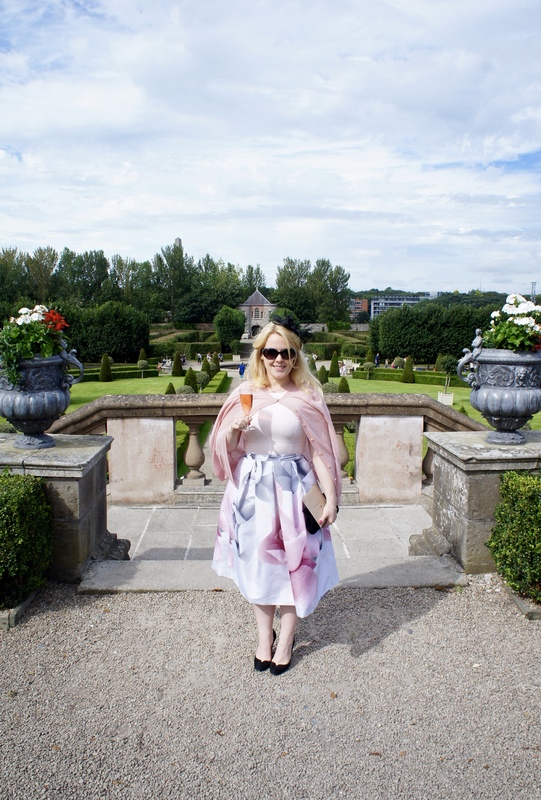 I’ve worn the Ted Baker brand to a couple of weddings in the last few years and have felt really comfortable throughout each and even had a few compliments thrown my way too, which is always nice! After purchasing it, my thoughts moved to accessories. So a call went into my Mom to borrow the facinator she wore for our wedding, plus the accompanying bag, which was black suede and perfectly matched these lovelies. 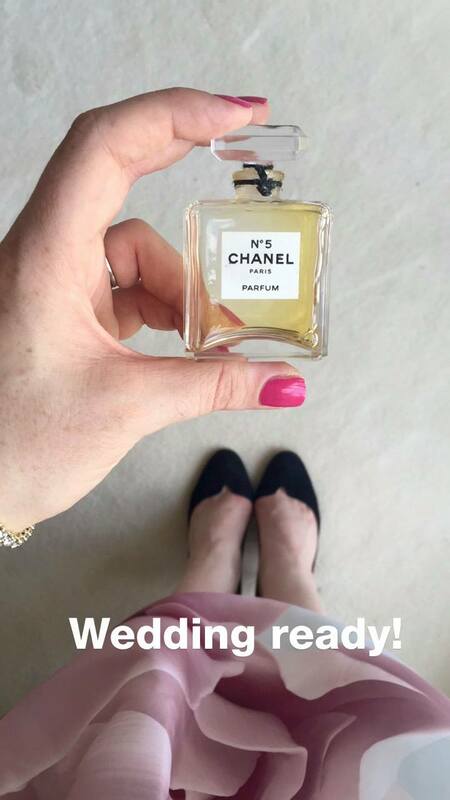 I threw on a cashmere cardi for a bit of warmth, a spritz of Chanel and I was good to go! 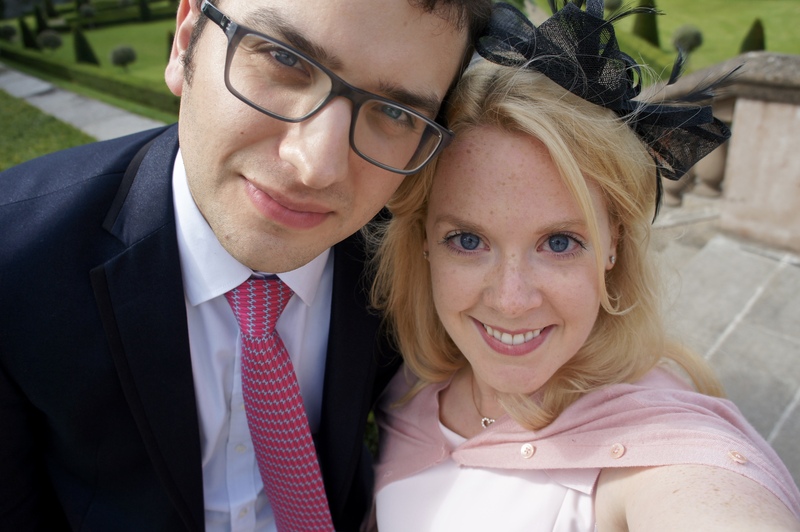 I usually prefer to wear one solid colour, forgoing patterns (sometimes I think they can be a little busy in photos), however, as this was a Summer wedding, I decided to embrace the florals and enjoy “a bit of tszuj” to my outfit (<- definitely had to look up the spelling!). I’m really glad I did, it was lovely being all summery! We had a great time with old friends, met some lovely new folks and definitely danced the night away! Do you have a fail-safe brand you go to when a big event comes up? You look gorgeous! I definitely agree that one ought to overdress rather than underdress in situations like this. 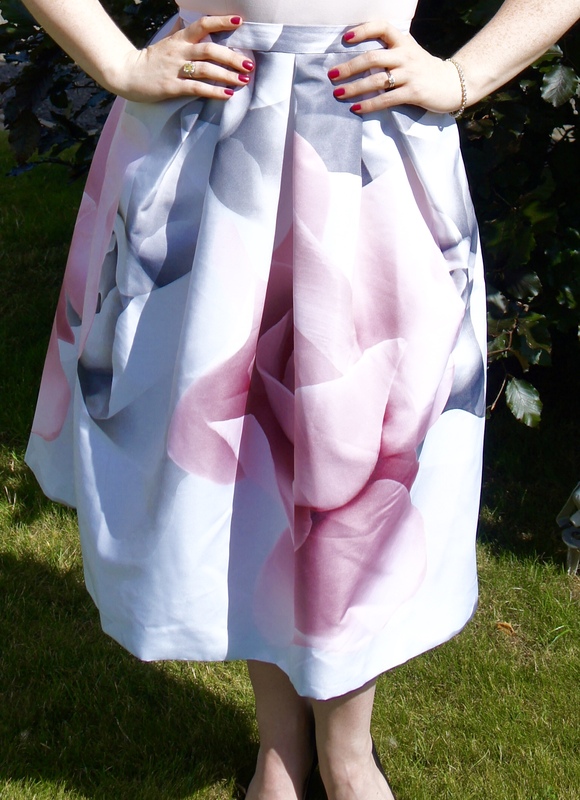 I love the Ted Baker dress you chose; the pattern is perfectly summery without being over-the-top. You look lovely in that outfit. Love the pattern and the colour.